At Un-Clicked.com, we have started with our next theme - Cemeteries. Sounds a little creepy, I am sure, but it really isn't. 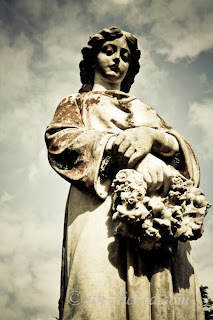 I've been interested in shooting pictures of crosses and the statues in cemeteries for a really long time. I remember, as a kid how interested I was at the lovely old headstones for British soldiers and missionaries in Nagercoil. Bangalore was and still is the city with a large "military" presence and there are many defense buildings in and around the city. It was also a hub of military activity before Independence. I've been intrigued by the Hosur Road cemetery for some years now and finally me, Sunil and Saravanan decided to go and take some pics at this place. Needless to say, it was a real find. 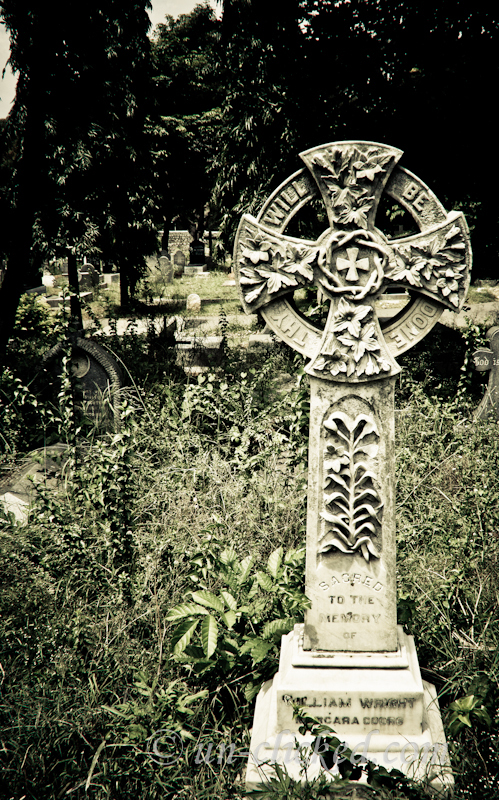 We have been able to locate some really old graves - some dating back to 1870? or so. And it was nice to see that the Commonwealth still tends and cares for graves of Commonwealth soldiers. The Commonwealth War Graves Commission has taken upon itself to restore, maintain, locate and build a huge database of graves to soldiers who gave their lives to a noble cause during the two world wars. But I have read on the net that there are graves that are even older and that they are unable to maintain these. Even the army is encroaching upon these cemeteries and surely, soon, one day, these will be lost for ever. Land for the living you see, is more valuable than the land for the dead!!. But it is sad how in this country, even within a large city like Bangalore, we do not have enough Public Architecture where people can congregate. We do not appreciate it. We look down upon it. But I also read on the net of the work of two people who are looking to change this in Bangalore. Ronnie Johnson and ex-Admiral O.S. Dawson. They have both been tirelessly working towards maintaining a database of the cemeteries, the locations, the people who have died there and trying to stop the ever-increasing population encroach into these lands of the dead. Appreciate their efforts. Here are some teaser pics. Hope you like them. We have posted more on Facebook and hope you can take a look. Profound man! Which is this place? Is it the one near some theater near Ulsoor on Old Madras Road?